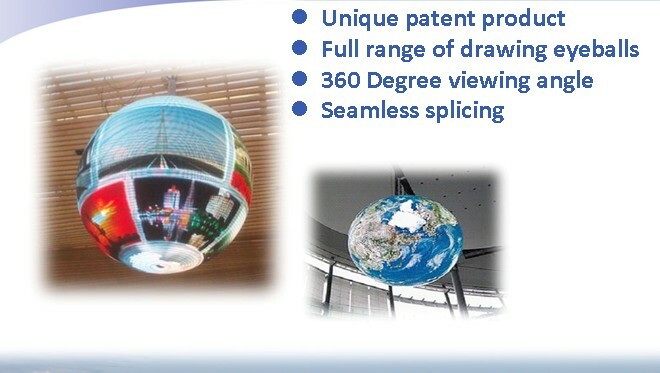 LED globe display is a unique design which allows you to play video or images on the surface of the globe. 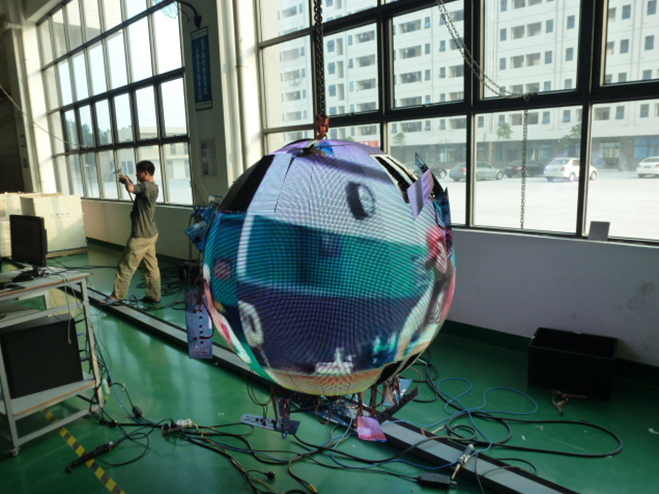 Just connect the globe to computer, and you can play anything on it. 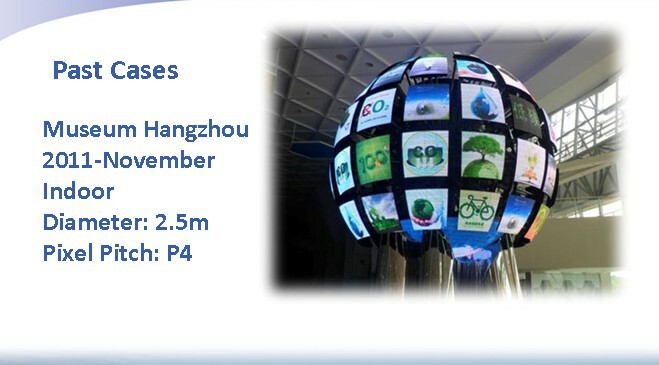 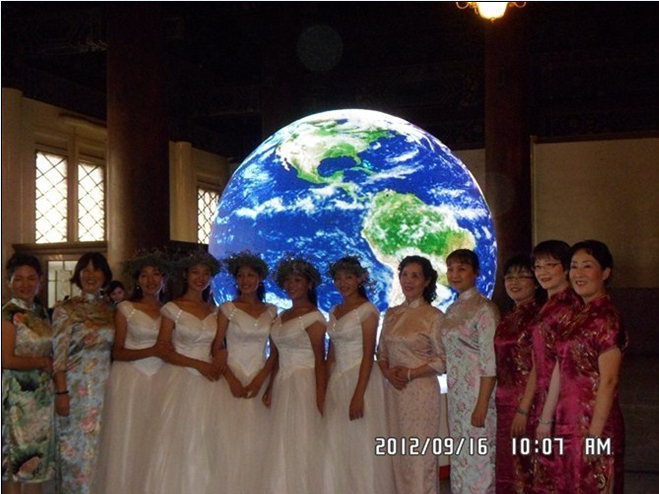 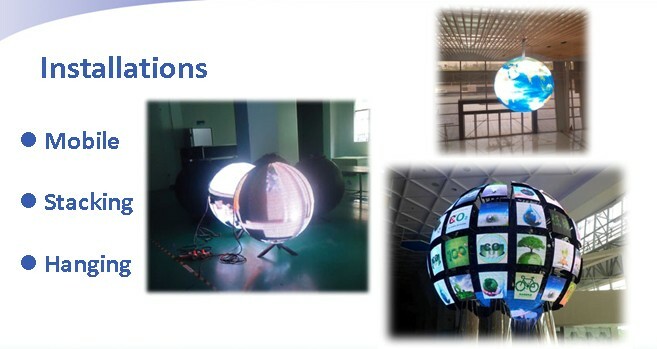 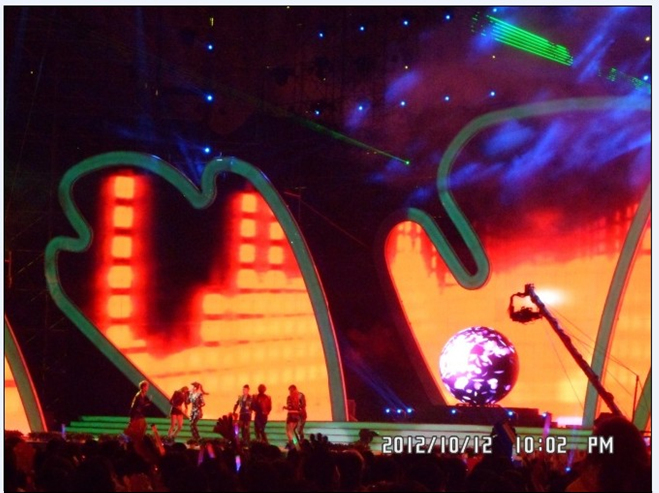 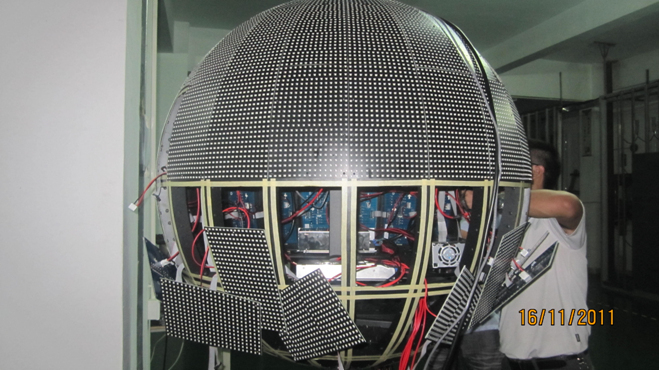 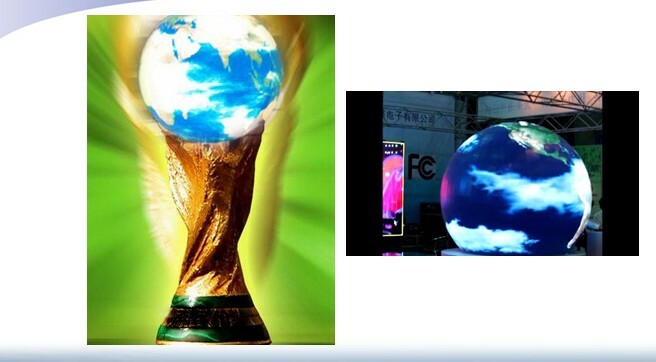 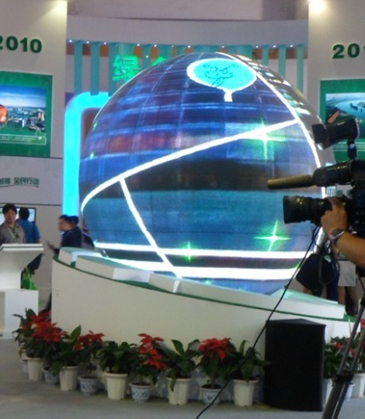 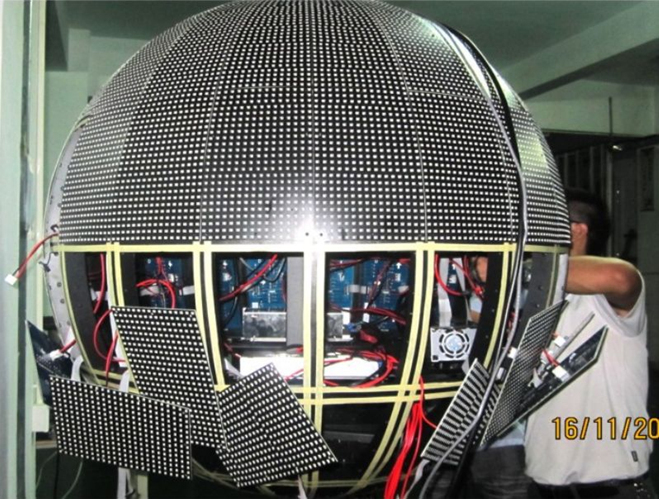 1) does the led globe/sphere display need specially designed video or images? 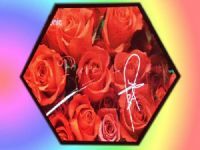 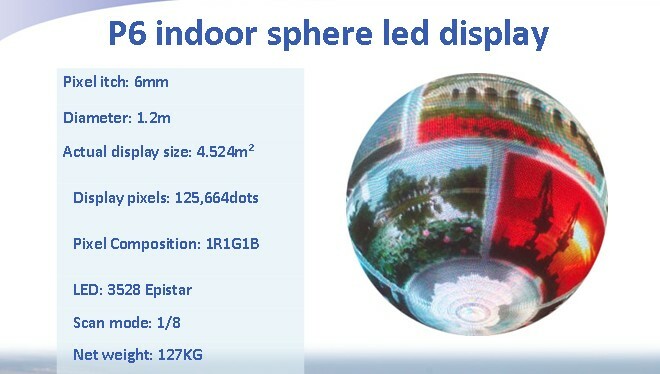 Re: Commonly it does not need special video or images, just play any common square images or video, and the led globe can play directly on the surface. 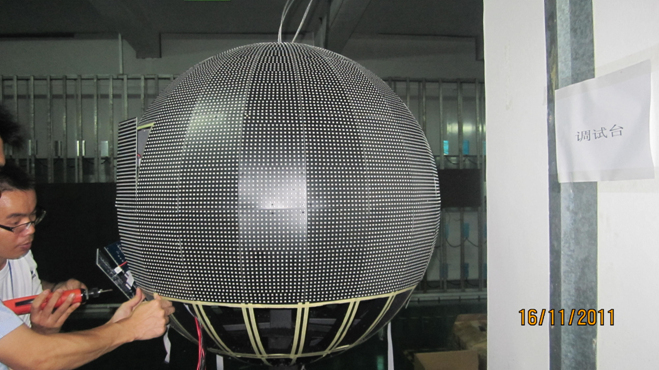 2) How to do the maintenance of the LED globe? 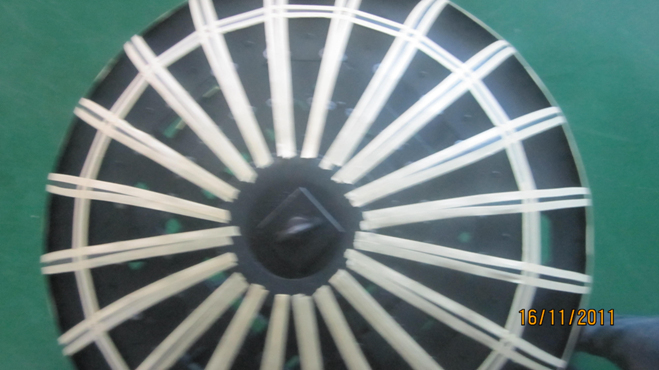 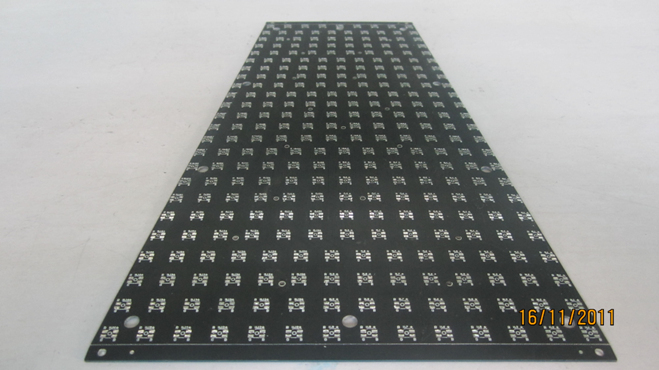 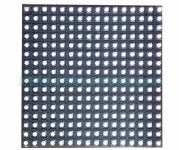 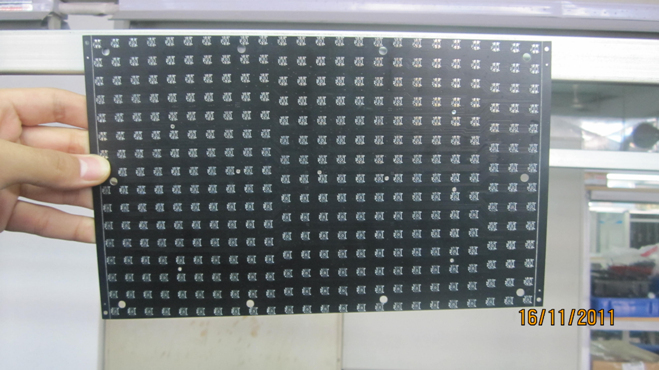 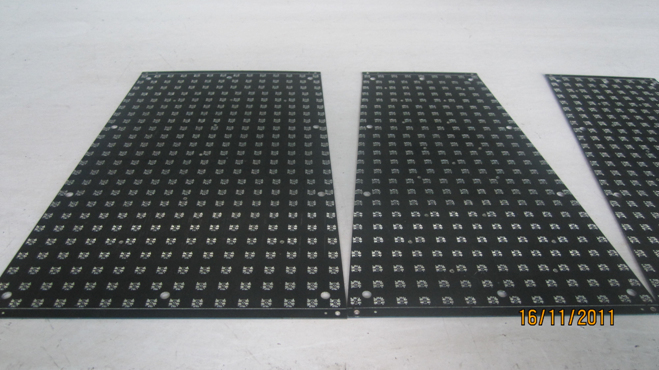 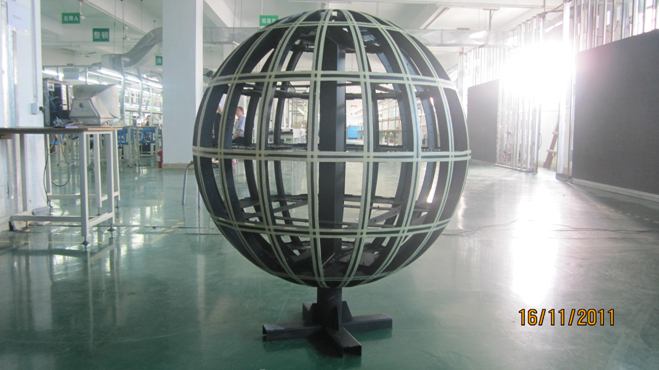 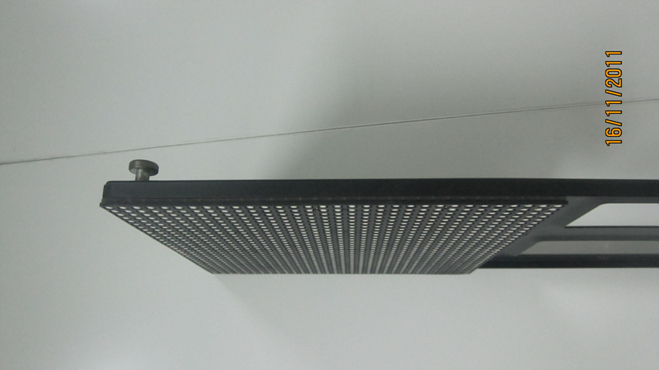 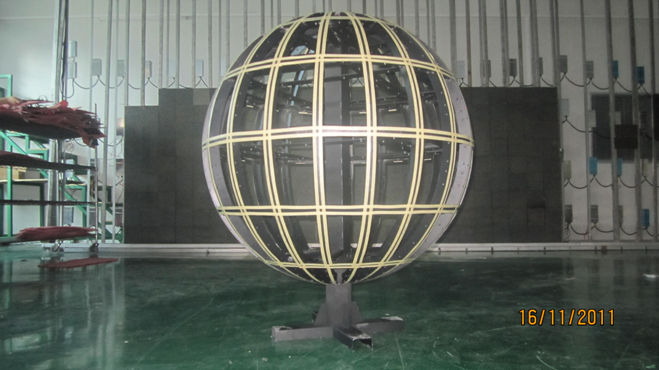 Re:The led globe is made of special shape led modules, all the modules are fixed to the inner cage by screws which are fixed from the front side of the led module and then to the cage. 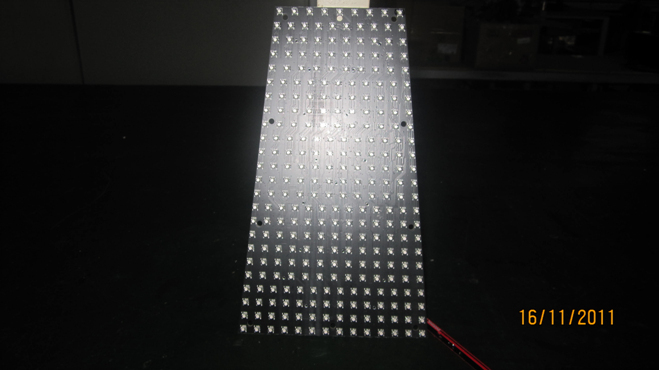 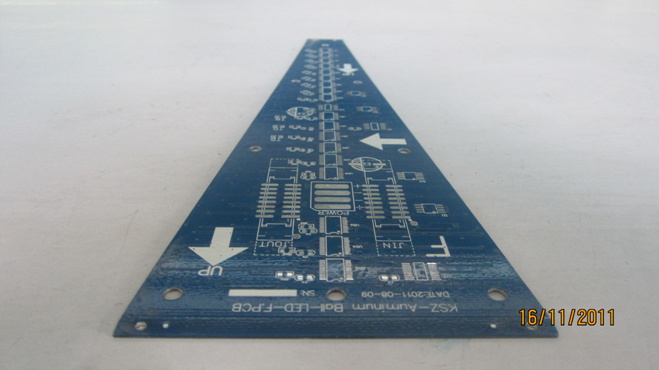 which means you can detach the led modules from the front side. 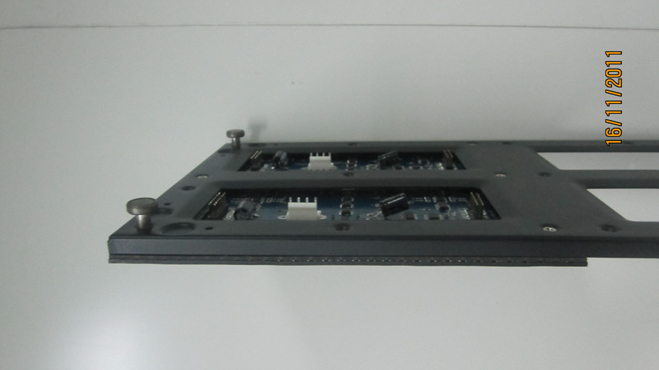 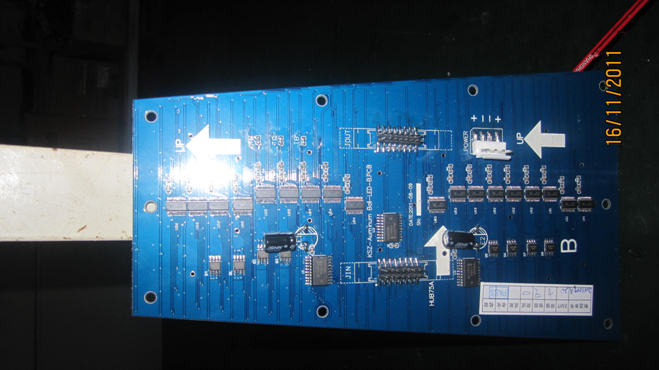 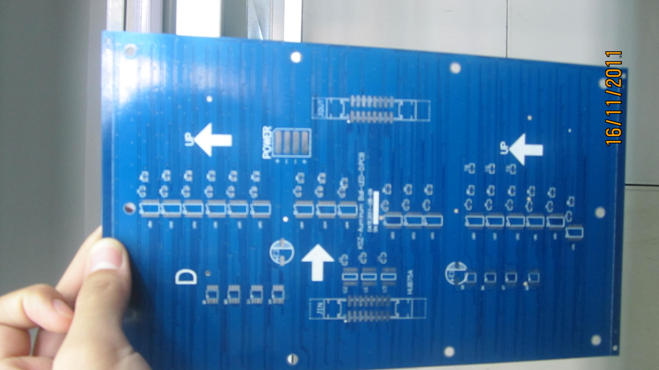 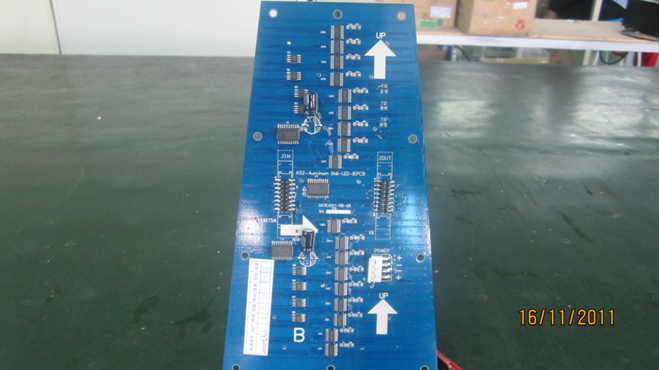 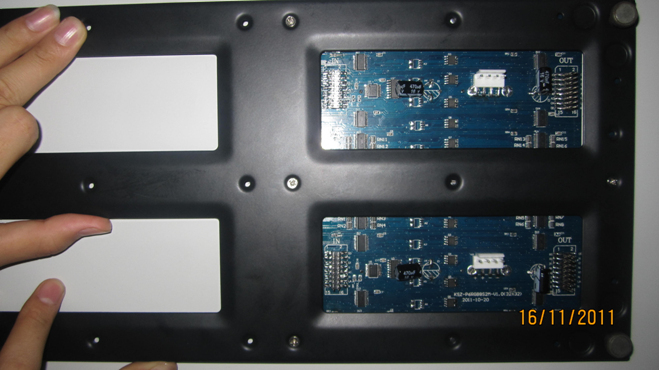 After detaching the led modules, the power supplies, the control cards and cables can be maintained from the front side. 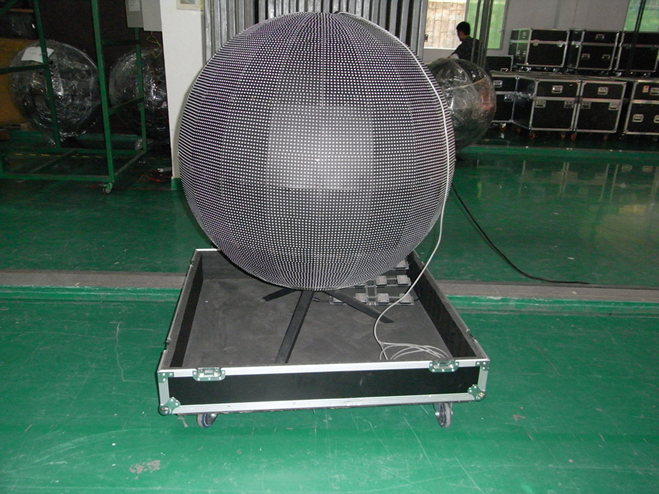 3) How to cool down the led globe, since it is in a closed cage? 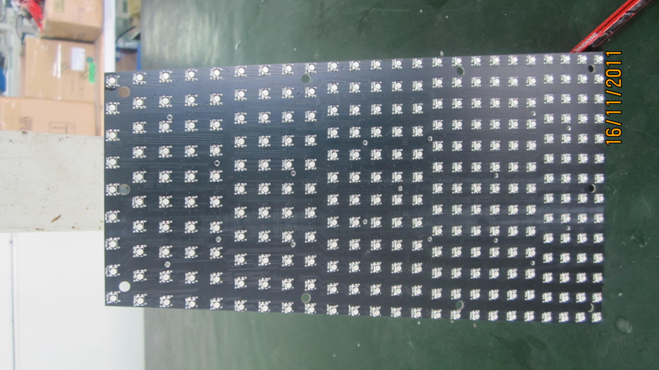 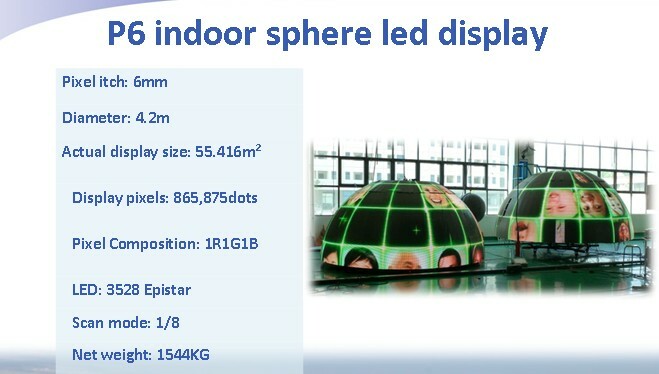 Re:On the LED module PCB, Visualpower designed many air vent holes which allows the air to flow inside the globe to cool it down. 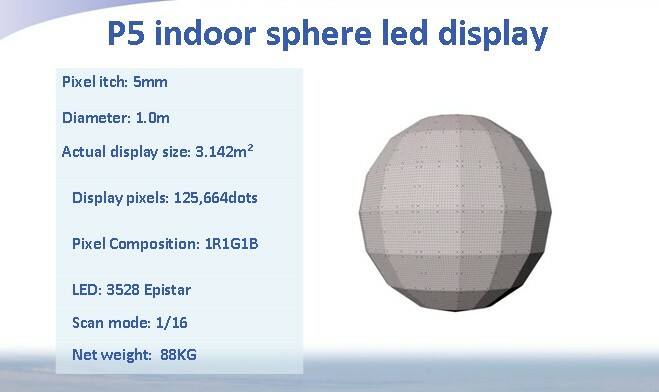 4) What is the smallest pixel pitch for that the led globe display can be done? 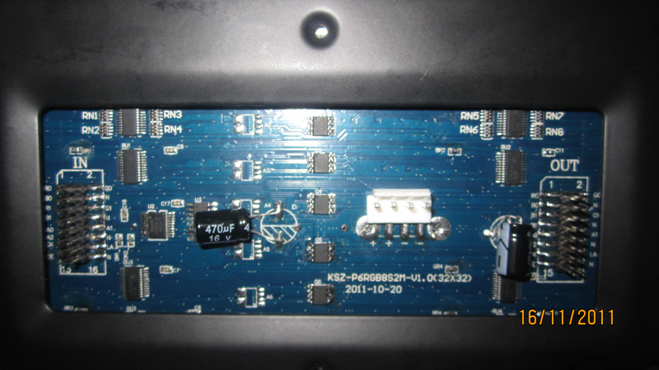 Re:Considering the maintenance and other technical issues, we commonly suggest to do it over 3mm. 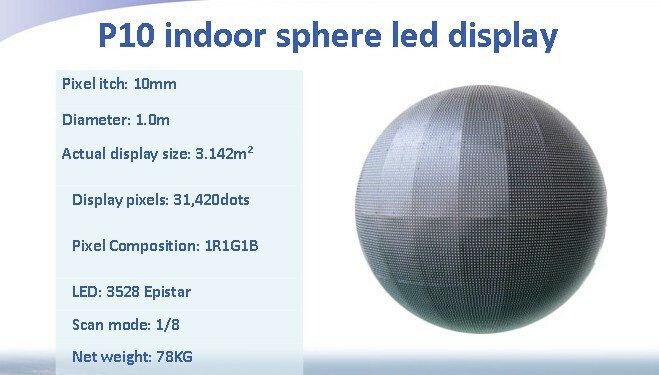 5) whats the smallest diameter can the led globe be done? 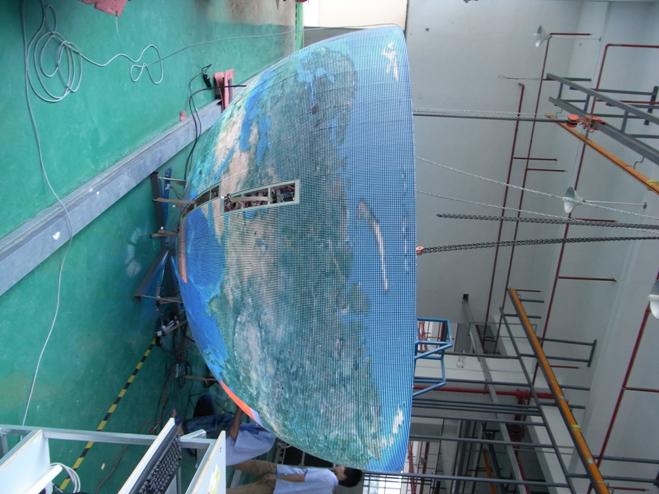 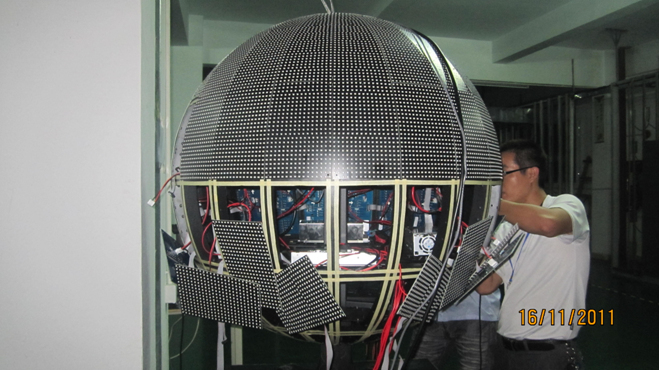 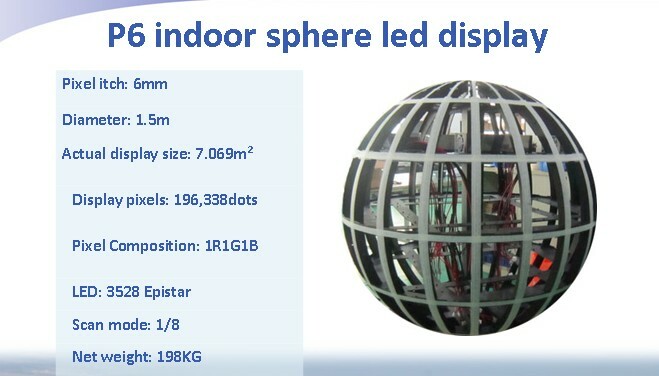 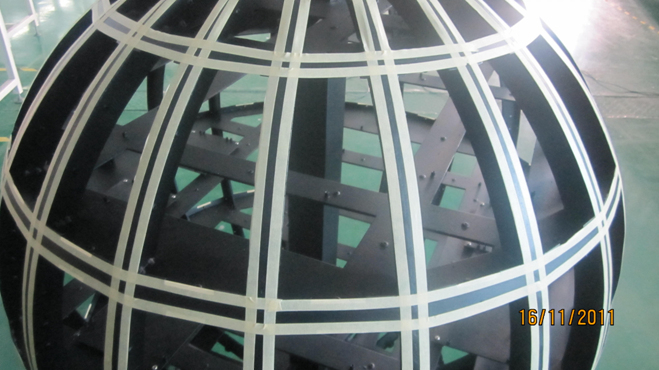 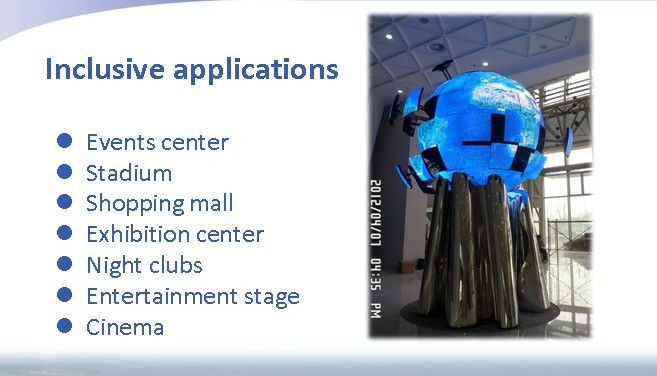 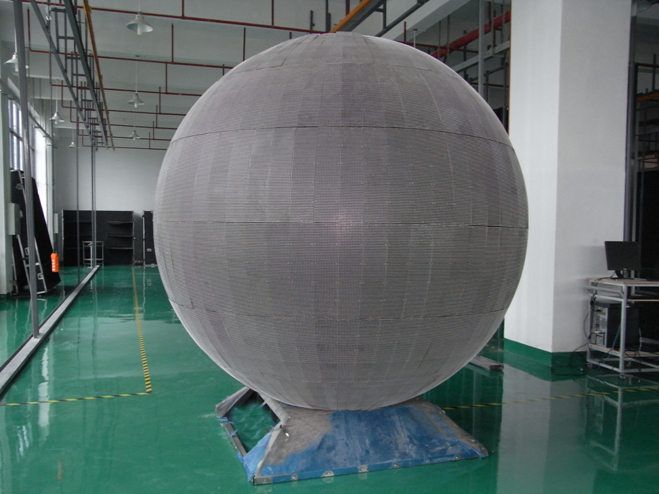 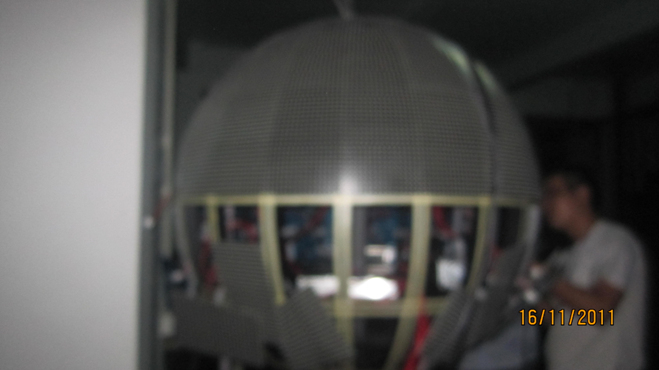 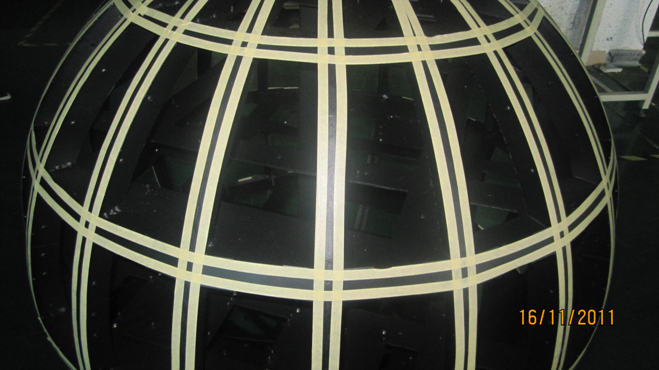 Re:Considering the structure and maintenance, we suggest to do the led globe diameter over 1m. 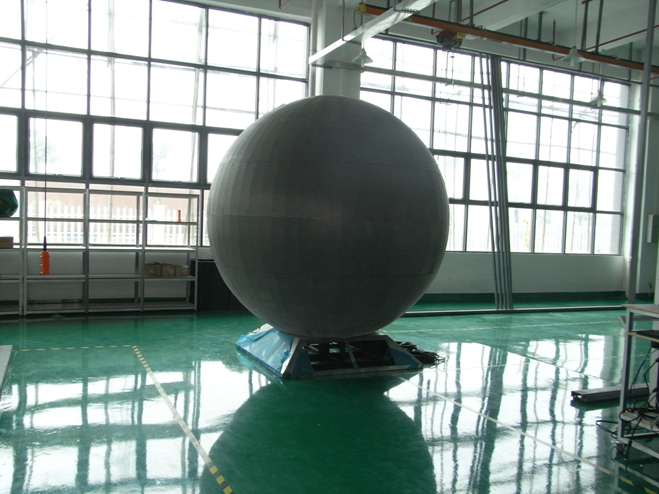 which can ensure good resolution and easier to maintain. 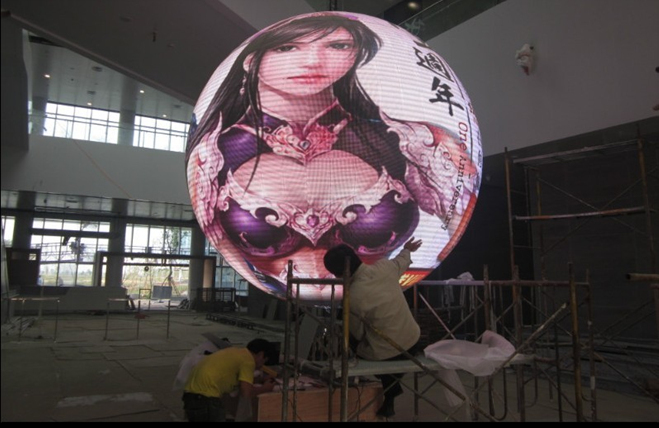 6) How to install the led globe? 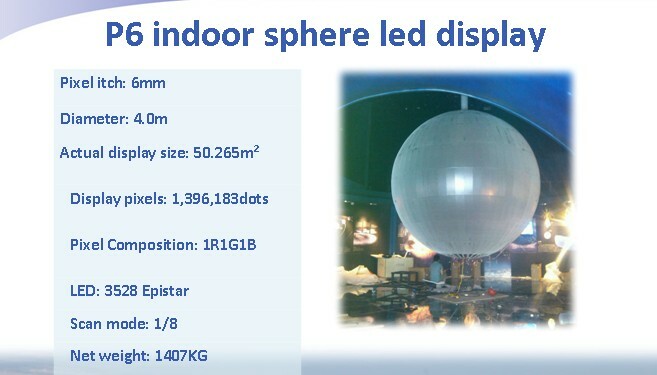 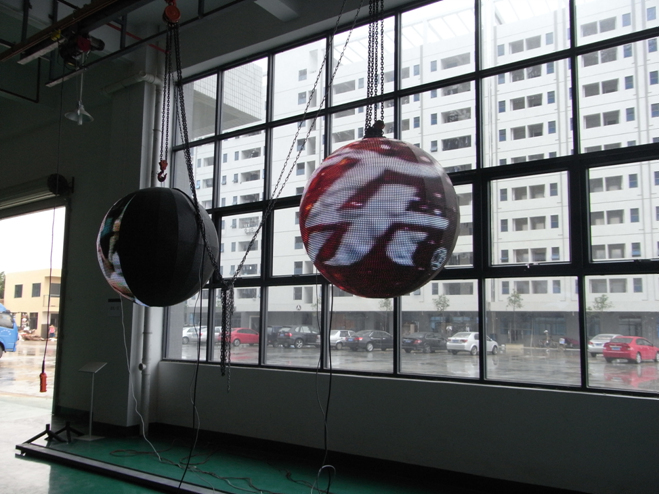 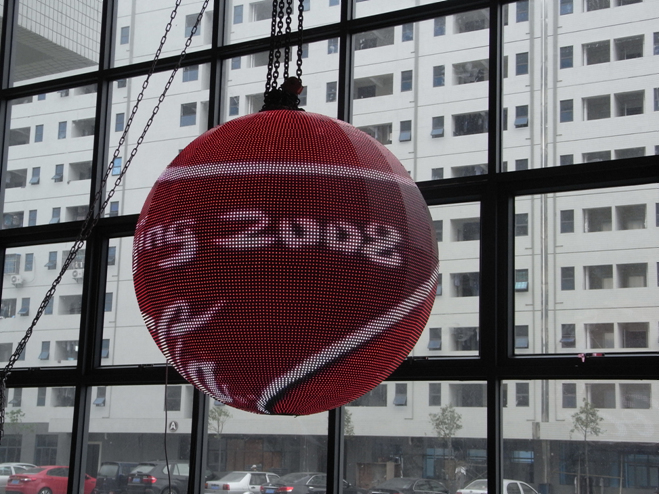 Re:The LED globe display can be hanged up on the ceiling or placed on the ground support. 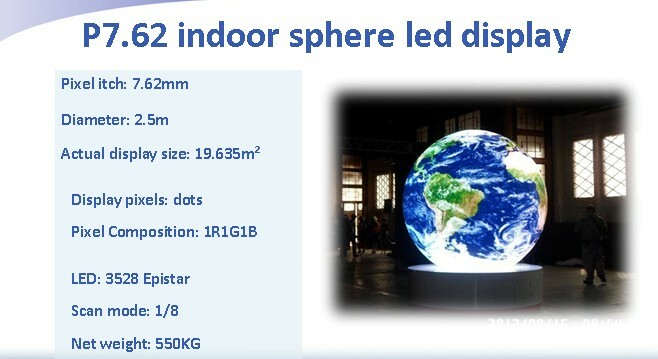 7) How to deliver the led globe if it is too big? 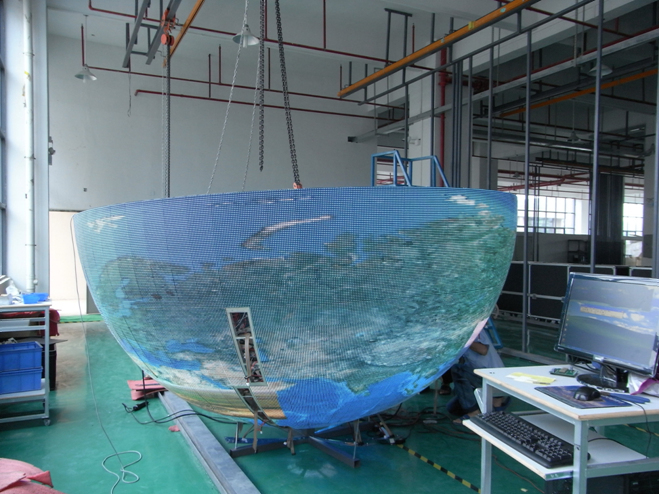 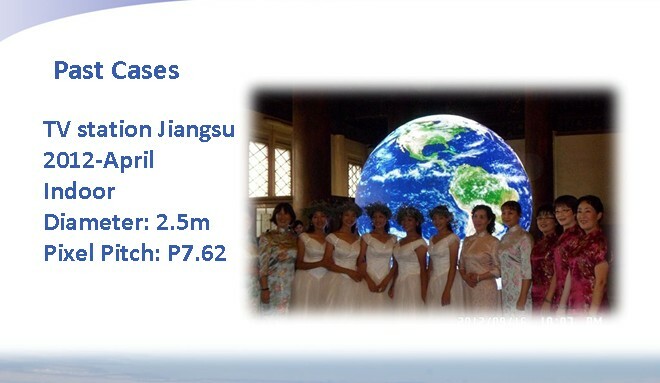 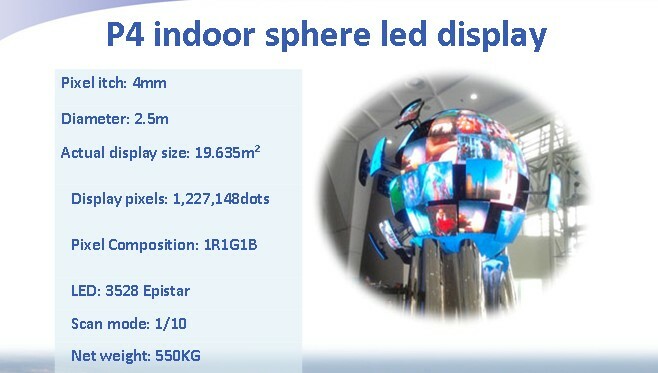 Re: For led globe diameter under 2m, we can do it a whole globe. 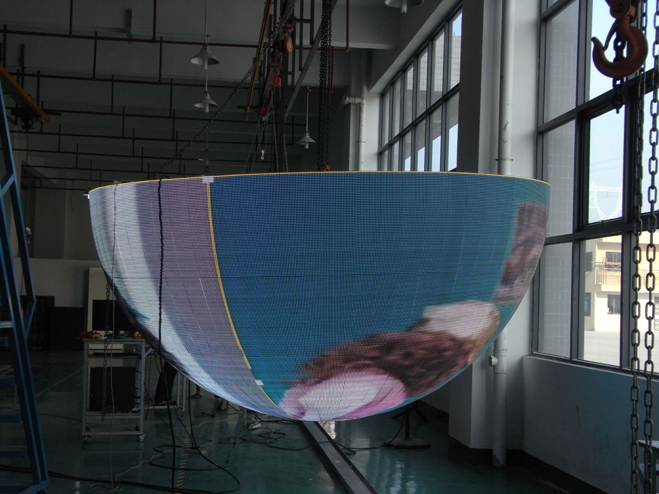 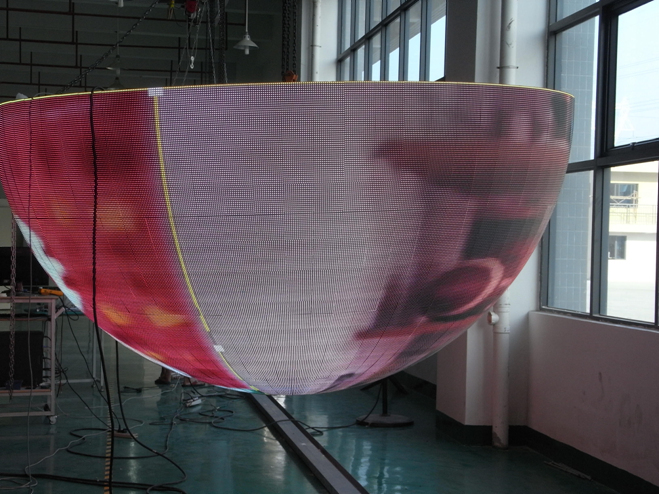 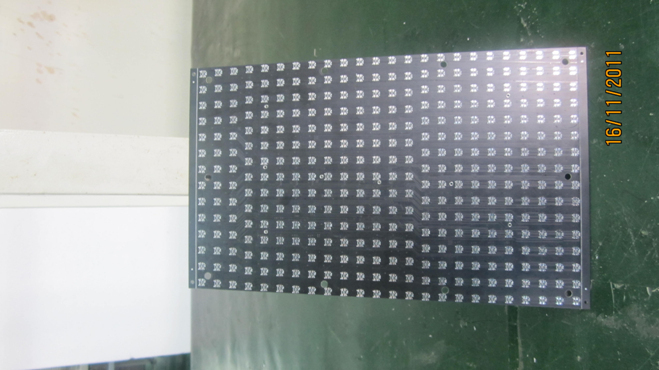 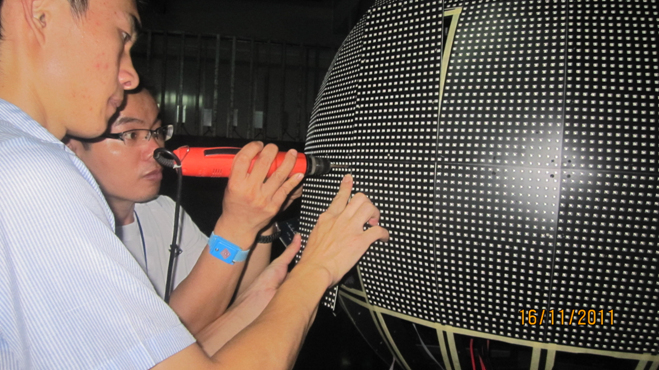 If over 2m, we can split the led globe into many small sections and then deliver. 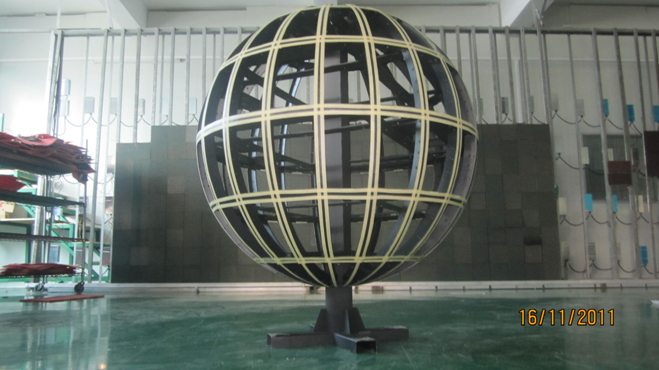 At the job site, It can be assembled again into a whole globe. 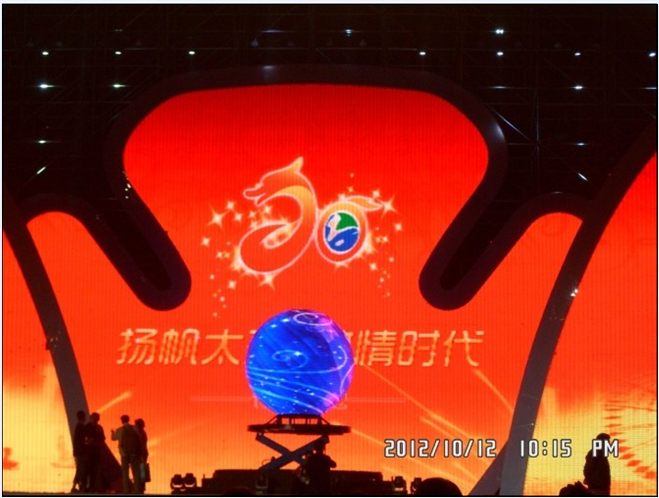 8) What is the advantage of LED globe/sphere display compared to projection type led globe? 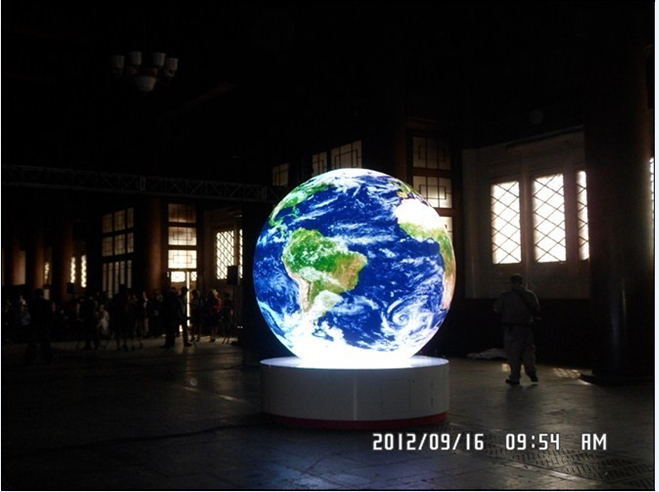 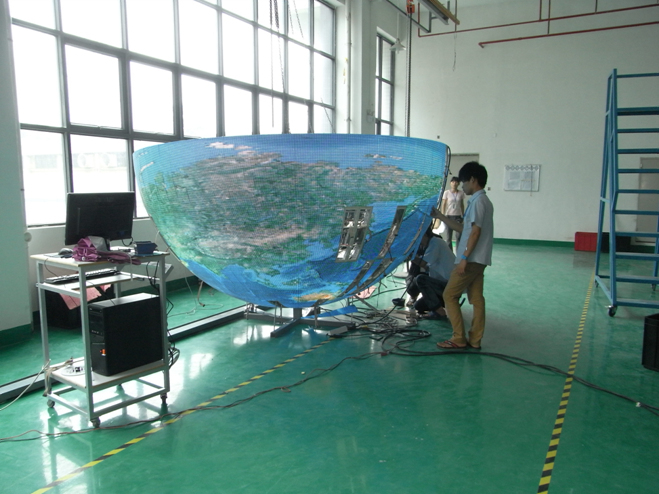 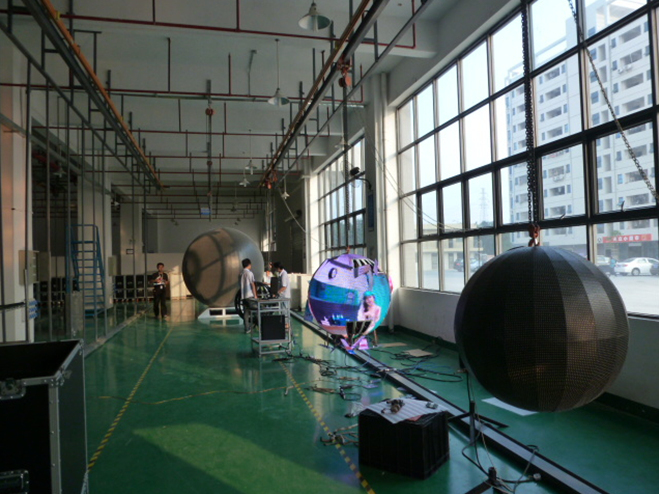 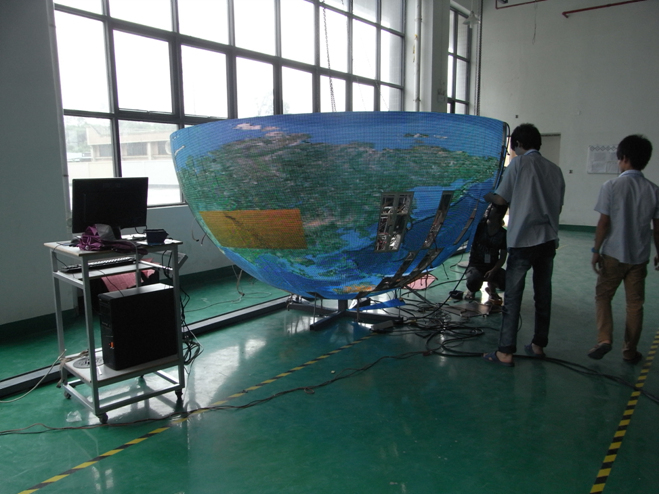 Re:Projection type led globe is by several projectors and specially made video source to show video on the surface on the globe. 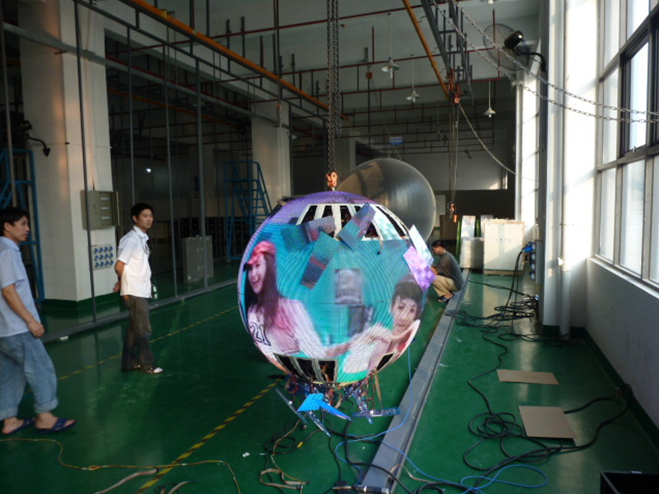 The high brightness projector price is also high, and the video source needs to be specially designed. 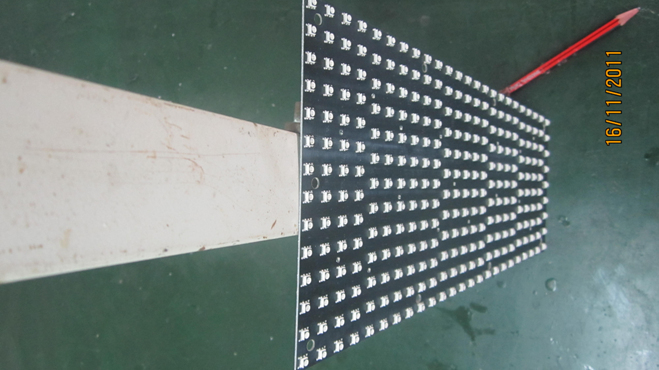 Also for projection, the light can not be blocked. 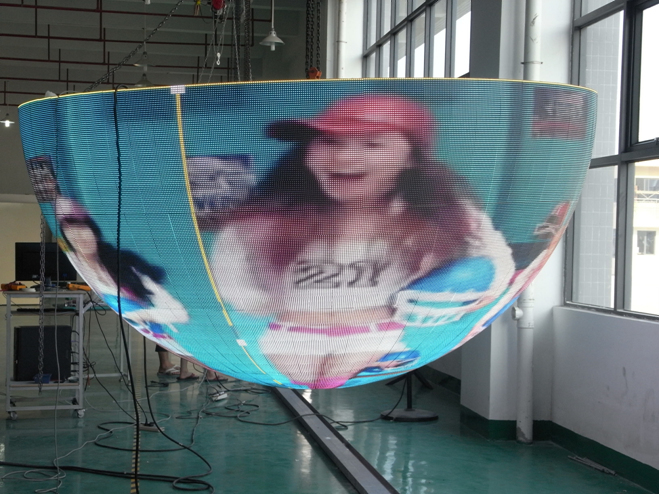 But for LED globe, it can be played anywhere, and the brightness is commonly over 1500 nits, and the video source can be anything, no need specially designed video source. 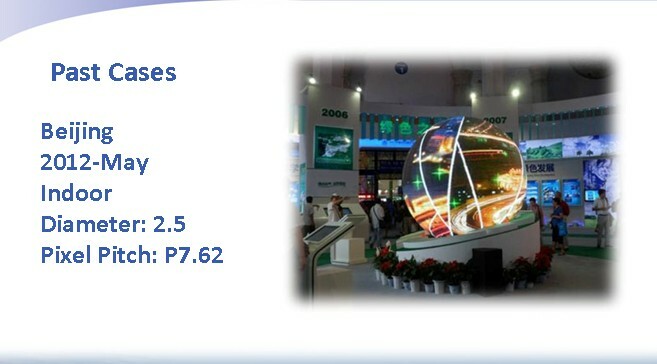 Because specially designed video sources also cost much.